Twenty years ago, on December 3, 1998, at the Washington Conference on Holocaust-Era Assets, representatives of more than forty countries and a handful of international non-profit organizations agreed to issue eleven legally non-binding “principles”, more like strong recommendations, to guide cultural practitioners, civil servants, museum personnel and art market “players” in the handling of objects and issues related to the twelve years of Nazi rule during which millions of cultural objects were misappropriated and stolen from Jewish owners. More precisely, these principles were meant to encourage these varied “stakeholders” to address in a meaningful manner the identification of looted art in their collections or under their care, publicize as best as possible details surrounding the history of these objects tagged as looted, and encourage the rightful owners to come forward and reach a mutually satisfactory decision on the fate of these objects, a “just and fair solution.” Part of this process entailed using the rapidly spreading digital technologies swamping the Internet and put them to use in highlighting objects in public and private collections with questionable provenances or histories of ownership. I thought it would be intriguing to pay a digital visit to the websites of cultural institutions on both sides of the Atlantic Ocean and assess their forthrightness in addressing the delicate issue of Nazi looted art. The institutions which interest us are those that house objects produced before 1945, realistically before 1940, and which were acquired before or during the Nazi years. In other words, the cultural objects will primarily consist of creations by artists in Europe, any cultural object acquired prior to 1945, which could fit any category, be it indigenous, crafts from faraway lands, decorative objects, ornaments, the sky is the limit. In other words, everything and anything of sufficient aesthetic and cultural value to be incorporated into the collection of a private or public institution. This exploration focuses on how “provenance research” is presented to the public. Anyone involved in the transactional aspect of the art world—buying, selling, exhibiting, appraising, donating, collecting—should not only focus on the intrinsic features and esthetic characteristics of an object but also on its history, not a narrow or selective reading of its origins, but a holistic understanding of its “life” and “itinerary” from the moment of creation to its present circumstances with you. Any gap, however large or small, several years, decades, centuries, millennia, should be explained even succinctly but there should be some kind of commentary as to why the institution cannot provide information to cover certain portions of the history of the object. With that in mind, museums and collections use their websites to promote their approach and understanding of what constitutes their mission and duty with regards to the objects that they steward. It is their public face, and, as such, the public shapes its image of the institution’s philosophy, ethos, and approach to the treatment of the objects that it accepts to hold and to display. A provenance can be viewed as the summary of a story relating to how an object has traveled over time and space. In that sense, it is not very different from a historical narrative that tracks and contextualizes the evolution of people, objects, entities over a given span of time and across a network of private and public spaces. Like all historical narratives, information is “orchestrated”, “assembled”, “constructed” to produce “our” version of the story. Hence, we could argue that a provenance can be as subjective as the retelling of a “fait divers” from different vantage points. Pressing this point further, the authors and publishers of the history of an object “control” its narrative, its “truth”. Or is “truth” too strong of a word? There is no obligation on the part of a cultural institution, a gallery, an auction house “to tell the truth” about the history of an object. Moreover, no one knows really what “truth-telling” is when it comes to the writing of a provenance. We leave the ethical and moral implications of not “telling the truth” to the authors and publishers of the provenance information. She who controls the narrative takes hold of its “truth.” Much like the (re)writing of history, there can be a (re)writing and (re)telling of the history of an object. 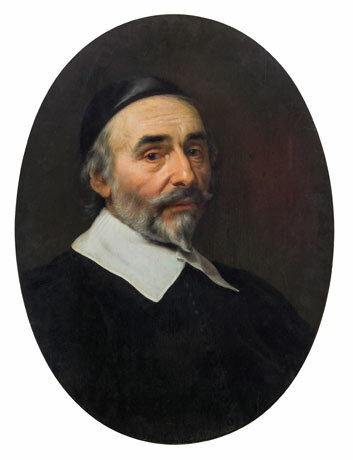 “Portrait of a man” by Bartholomeus van der Helst, once belonged to the renown Schloss brothers in France. Their collection of over 330 Old Master paintings became the focal point of an intense rivalry between the wartime Vichy government and the plundering agents of the Nazi regime, especially Goering’s men, their trusted art advisors and senior officials of the Einsatzstab Reichsleiter Rosenberg (ERR). In a farcical race against time, both Vichy and the Germans attempted to be the first to seize the collection. The Germans got the upper hand as they allowed the French to seize it only to force them to hand it over and transfer it to Paris. The paintings were sorted, inventoried, catalogued and shipped for the most part through the Jeu de Paume to the halfway house to the Linz Museum, the Fuhrerbau, located in the heart of Munich. Shortly before the American army took control of Munich on April 30, 1945, the vast majority of looted art works stored at the Fuhrerbau were removed by unknown parties and their contents scattered. In the years that followed, American agents working in tandem with the Munich criminal police found not more than 100 paintings which had been stolen from the Fuhrerbau. Schloss 91 was not one of them. In fact, 90 per cent of the paintings stolen from the Fuherbau remain unaccounted for. Some resurface on occasion. The most famous are the Schloss collection paintings which the French government does not seem anxious to recover on behalf of the Schloss family. Well, here is an opportunity that might be missed for the 20th time as a looted, unrestituted painting belonging to the Schloss heirs is offered for sale in Vienna, Austria on April 12, 2016. The provenance indicates that it was nowhere to be found during WWII and names Adolphe Schloss as a prewar owner, forgetting to mention that his heirs were also the rightful owners. That takes guts. Will someone please say something and stop this sale? According to the Kimsky auction house, the looted nature of the painting is obvious. Together with the consignor, it is willing to explore how to apply the Washington Principles to this situation, namely reach a "fair and just solution" or a financial settlement which would allow the painting to be sold. The solution rests entirely in the hands of the family which is based in Paris, and in the hands of law enforcement--the painting is listed on the Interpol website as well as on at least one looted art database, the ERR/Jeu de Paume database. It is high time for someone to act and not let this looted painting be sold without a resolution that has been offered by the consignor--a first--and the Viennese auction house--a first as well. We saw recently another Viennese auction house pretend that a bust by Houdon, Diane, resembled one which had been plundered from a Polish castle by German troops. A simple stroll on Poland's looted art website would have revealed in 15 minutes the fact that the Houdon in Vienna was one and the same as the one claimed by the Polish government. In sum, some progress is being made in the art market whereby it is noticeable that consignors and auction houses, when motivated, can do the right thing. It would be a shame for the Schloss heirs to let this opportunity slip by as well as Austrian and French law enforcement agencies to sit tight and not intervene. In an ideal world, the cost of seeking restitution of a Nazi-looted art object should not be a hindrance to achieving justice. 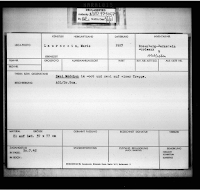 The government, writ large, a State agency, a non-profit organization, domestic or international, would take on the burden of recovery of a looted cultural object, from the first notification to the current possessor that she holds title to property stolen during the Nazi era, to the final act of recovery, the physical transfer of the object to the rightful owner’s heirs complete with a transfer of title. In the real world, the aforementioned scenario simply does not exist, and, if it does, it is as rare as the Hope Diamond. There are no public or charitable organizations which have the resources to manage the restitution of a looted object from a to z, soup to nuts, from identification to recovery or settlement. However, there are many consultants both in the Americas and in Europe who are available to assist you in the recovery process, for a fee and not an insignificant one at that. The Washington Conference on Holocaust-Era Assets of December 1998 failed to put in motion the procedures by which to assist claimants in their bid to recover their looted cultural assets at little or no cost. There was no political will amongst the participants at the conference to go beyond speeches and do the heavy lifting, as we call it, to convince their kinsmen back home to pass laws that would establish the appropriate mechanisms for expeditious and systematic restitution of looted assets. It never really happened. Austria might be an exception since it did pass a restitution law in 1999, partly as a reaction to the physical seizure of two paintings by Egon Schiele on display at the Museum of Modern Art of New York. Their possessor at the time was the Leopold Foundation, based in Vienna. With no structure, no organization to fall back on, claimants have had few places to turn to. The Holocaust Claims Processing Office in New York is the only viable State-level agency (not Federal, a big difference!) which facilitates the claims process for Holocaust victims and their families. The restitution process is a tedious and laborious affair fraught with emotions and riddled with obstacles. Hence the tendency among lawyers to recommend financial settlements that, in their view, at least address the moral dimension of the claim while leaving the object and title to the claimed object in the hands of the current possessor whose sole defense rests on arguing that she acted in good faith when purchasing the claimed object. In today’s parlance, this approach to the resolution of a cultural claim for Holocaust-era thefts and all of its variants is referred to as a “just and fair” solution, something that presumably should work for everyone but really does not. In a world where most attorneys command high fees, there is little chance that, at those rates, a claimant can receive a modicum of legal advice unless the value of the object(s) that she wants returned exceed the hundreds of thousands or even reach millions of dollars or euros. And if she does recover, she needs to sell the object in order to settle her debts for legal representation predicated on a contingency fee arrangement, which usually runs at about one third of the market value of the claimed object. The failure of the public sector to create effective, credible, and humane legal and administrative mechanisms to provide a forum for some form of justice for victims of cultural plunder, has relegated the resolution of these claims to the market place. Technically, there is nothing wrong with that concept, except that the price tag is steep and out of reach for most people seeking restitution. The most popular works earning legal representation in restitution proceedings through private firms are works by Egon Schiele and Gustav Klimt which were at the bottom of the art world’s food chain until the 1970s and those produced by German Expressionists (Kirschner, Grosz), Impressionists and their progeny (from Monet and Pissarro to Cézanne and van Gogh), and, yes, Cubists (Pablo Picasso and Braque, most notably) and its variants (Fernand Léger). There is some room, of course, for top-flight Old Masters. When it comes to value, why discriminate? The absence of political solutions to restitution claims—in the form of laws passed by national legislatures aimed at simplifying and/or fast-tracking claims for looted cultural objects, eliminating technical defenses (latches, statutes of limitations) used by possessors not to return claimed objects, thus driving legal expenses through the roof—has helped drive up the cost of justice, hence, the price of restitution of an object stolen during the commission of an act of genocide. If the value of the claimed object falls below several hundred thousand dollars or euros, it complicates a lawyer’s commitment to achieve restitution (yes, this is an unfair statement but it is close to the reality that many claimants encounter) since mounting legal fees will quickly surpass the value of the object and thus drive into the negative the cost-benefit of restitution. Thus, if your family lost works and other objects now scattered across the globe, whose individual value may not rise past 50,000 to 100,000 dollars or euros, you might not be able to find a top-ranked lawyer to represent you. If your family lost a substantial collection of more than 50 or so “secondary” works produced in 17th century Europe, a lawyer might consider representing you to obtain restitution for those objects—they would be viewed as a “lot”-- that have been identified in present-day collections. Hence, we fall into the same logic—cost and benefit. Rightfully, a lawyer must ask: what’s in this for me besides the ephemeral headlines tied to “doing the right thing”? She runs a business, not a charity, so the saying goes. Mouths to feed, people to pay, rent, insurance and other costs add up. Time is also a factor: these cases tend to take an average of three to ten years to resolve, some stretching out over several decades, others ending miraculously quickly, as in two years or less. Since the vast majority of objects stolen during the Nazi years were not “treasures” worth hundreds of thousands or millions in today’s currencies, the vast majority of the victims have not obtained restitution of their objects. As the years and decades go by, their stolen object are sold at auctions, displayed in galleries or museums, or, worst of all, hanging in a stranger’s living room. The postwar restitution machinery was never designed to help the average victim. It was designed to recover treasures and high-end cultural objects thus restoring a country’s “greatness” from which those “treasures” were forcibly removed while offering substantial returns to their possessors and handlers. Is it mere coincidence why so much emphasis has been placed on the recovery of paintings by Egon Schiele, Gustav Klimt, Camille Pissarro, Pablo Picasso, Fernand Léger, Georges Braque, Henri Matisse, Antonio Canale, Caspar Netscher, Romanino, Amedeo Modigliani, Max Liebermann, Georg Grosz, Ernst Wilhelm Kirchner, etc., etc.? The press, incidentally, is partly to blame for this state of affairs because it is so quick to respond to restitution claims involving big name artists fetching hefty price tags on the global art market. If you peruse the few public looted art databases that are currently available for consultation, such as lostart.de and www.errproject.org, you will note that there are thousands of artists whose works have been stolen and yet the world only focuses on a handful. The chances of recovering 90 per cent of the world’s stolen art are close to zero because the world in which we live rewards only the “great ones,” those who produce “masterpieces” which become a nation’s “cultural treasures” coveted by those who can afford them. The rest? Our collective loss, someone’s private gain. On December 3, 2007, Christie’s Paris sold a painting by Marie Laurencin, entitled “L’embarcadère’ [Haut de Porte].” As is usual with Laurencin’s works, the subjects that she depicts consist for the most part of ethereal-looking women painted in wispy, light colors, gazing and poised. This particular painting was produced in 1927 and was once the property of Paul Rosenberg, the late French Jewish art dealer with the keenest eye for the highest quality that one could muster in terms of 19th and early 20th century French modern art. It is not an exaggeration to say that most of the paintings, works on paper and sculptures that Rosenberg collected and sold were of museum quality. His legacy stretches across a global network of museums, galleries, and private collections. In June 1940, the German Army overtook France in a classical blitzkrieg operation, catching the French army sleeping in the fields—literally. Rosenberg had the presence of mind to redistribute in lots of varying importance his vast collection of works and objects of art across depots in Tours, Bordeaux, and Floirac and a bank vault in Libourne. Paul Rosenberg & Co., New York (no. 1915). Paul et Marguerite Rosenberg, Paris. 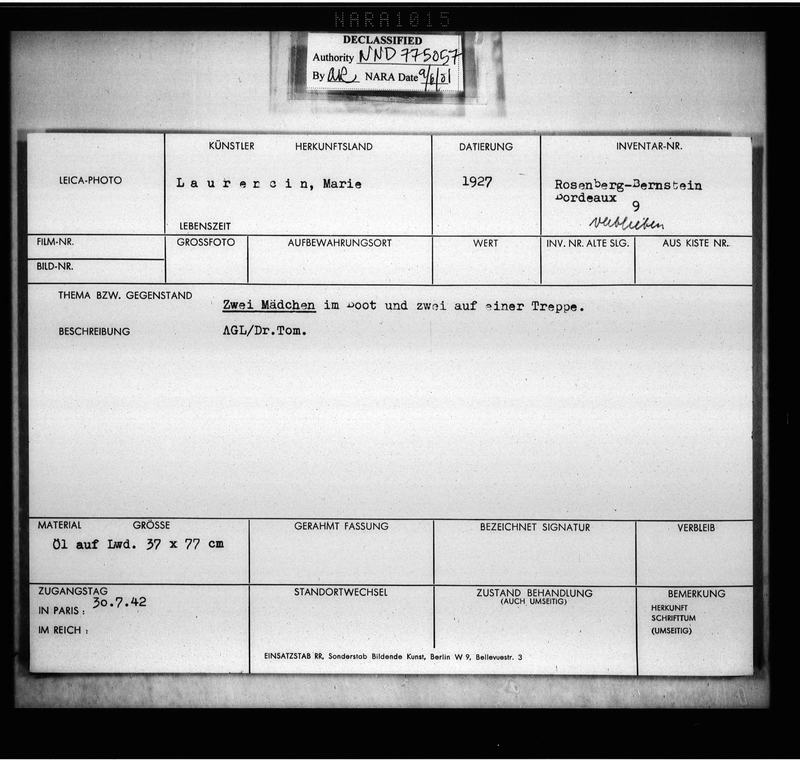 Restituted to Paul Rosenberg, 25 September 1945. The MA-B symbol stands for Moebel-Aktion Bilder, that section of the misnamed “Furniture Operation” which focused on the confiscation of works of art—paintings and works on paper--during WWII. The M-Aktion, as it is also known, which began in earnest in spring of 1942, was the brainchild of Alfred Rosenberg, Hitler’s minister of enlightenment who created the Einsatzstab Reichsleiter Rosenberg (ERR), the largest State-run agency ever created whose sole mission was to confiscate and plunder mostly cultural property in conquered territories. M-Aktion operated in Western Europe. Its purpose was to empty out all residences where Jews once lived who either had emigrated, gone into hiding, or had been arrested, incarcerated, deported, and either murdered or enslaved during Nazi rule. MA-B 702 was most likely removed from the place where it “lived” with its owner somewhere in the Paris region either in 1941 or 1942. It was stored in an auxiliary center run by the M-Aktion bureaucracy (affectionately referred to as a M-Aktion Lager) and brought to the Jeu de Paume museum in Paris which served as the central clearinghouse and sorting station for confiscated cultural objects and much more. There, it was inventoried on 9 March 1943 together with 45 other paintings and works on paper also confiscated under M-Aktion. On the back of this Boggs watercolor is a dedicace to “Madame Daltroff.” It is dated 1921 and tagged at Honfleur, a quiet fishing village and beach resort on the Normandie coast. All objects stolen during M-Aktion were inventoried without the name of the person from whose residence the object was confiscated. Hence they are “anonymous”, “without an owner,” and some might consider them to be “heirless.” The intent of the M-Aktion agents was not to waste time with detailed cataloguing operations that would link a confiscated object to an owner. It was wholesale plunder, not retail plunder during which confiscated objects are assigned to an identifiable owner, at least the one that the confiscating agents presume is the rightful owner. If we want to know who owned the Boggs watercolor known as MA-B 702, our only starting point is the dedicace which provides us with a name—Madame Daltroff--a date—1921—and a place—Honfleur. We can quickly dismiss the date and the place because they do not appear to have any relationship to the ownership question. However Mrs. Daltroff retains our attention. Who was she? 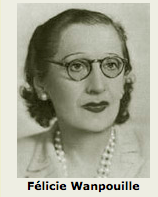 A quick digital poke tells us that she was the business partner (and maybe more) of Ernest Daltroff, a perfume executive who lived in the Paris region up until the late 1930s. He acquired a small perfume manufacturing operation based on rue Rossini from Anne-Marie Caron. The new company became known as Maison Caron. Mrs. Daltroff was actually the pet name given to Félicie Wanpouille, described by various sources as the artistic director of Maison Caron, Mr. Daltroff’s muse, and a fashion and brand designer. Regardless, she became the soul of “Maison Caron” which released many popular fragrances in Paris during the 1920s and 1930s. The most popular was a fragrance for men called “Pour un homme” released in 1936. It affirmed Maison Caron as a respectable brand, not only in France but also in the United States, through its New York subsidiary. With the drums of war beating at the doors of France, Ernest Daltroff, who was of Jewish descent, sought refuge in North America, some say in Canada, others in the United States, and died in 1941. We can be more or less certain that "Madame Daltroff" aka Félicie Wanpouille owned or was somehow “involved” with the Boggs watercolor from 1921 to an unknown date and was obviously familiar enough with the artist for him to sign a dedicace to her. The context of “Maison Caron” becomes important for two reasons: 1/ Ernest Daltroff, a Jewish businessman, escaped before France was overrun by German troops and 2/ Maison Caron was run by Félicie Wanpouille. Difficult to say whether or not Mr. Daltroff had transferred ownership to her or simply the control of the House. Enter from stage right, Michel Morsetti. 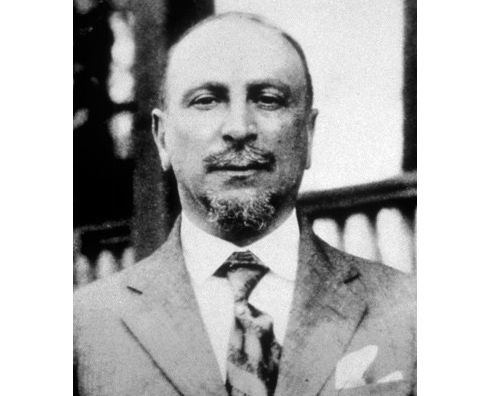 Mr. Morsetti was the “nose” of “Maison Caron.” The one who could differentiate between hundreds of subtle olfactory hues and inflexions and create audacious, subtle, romantic, aggressive, subdued, perfumes both for men and women. Another individual in whom Ms. Wanpouille placed her trust, was Suzanne Saulnier, the authorized representative of Maison Caron who seemingly had wide latitude in the decision-making process. Ms. Wanpouille married Jean Bergaud and, while still at the helm of Maison Caron, invested during the Vichy years in a very high-end women’s boutique at 10, place Vendome, one of the toniest addresses in Paris, then and now. She remained at Maison Caron throughout the German occupation of France, while Morsetti cranked out one perfume after another. The postwar history of Maison Caron is of no concern to us since it will not tell us anything about MA-B 702. So, what happened to the Boggs watercolor? Who bought the watercolor? Let’s say that Mr. Daltroff acquired it and gave it to Ms. Wanpouille. A conceivable scenario judging by the closeness of their relationship. The watercolor remained in Paris while Daltroff escaped. Was he still its owner? If it was a gift to Ms. Wanpouille, who does not appear to be of Jewish descent, why would the M-Aktion agents bother with it? Let’s assume for a moment that she owned it. It is always plausible that she could have relegated the watercolor to the marketplace and sold it at auction or consigned it in a gallery. Boggs’ works were well-appreciated. They are not provocative works, they hang well and can be pleasing additions to well-appointed rooms in upper-middle class homes. 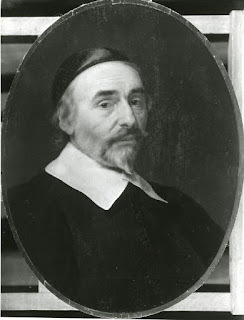 4/ for this work to become MA-B 702, there had to be a “Jewish” tie-in and the only one that we know of so far is Mr. Daltroff. It is conceivable that the painting hung in his apartment where he left it. If he owned his apartment, the Vichy regime would have placed seals on its doors after April 1941, an initial move signaling confiscation leading to liquidation and Aryanization. Maison Caron, if it remained under Jewish ownership—in Mr. Daltroff—would have been subject to Aryanization proceedings. The presence of a subsidiary in New York made it all the more attractive to the Vichy authorities and would have attracted notice from the German military administration. 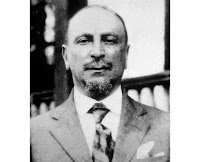 However, if Mr. Daltroff transferred ownership to Ms. Wanpouille with Ms. Saulnier and Mr. Morsetti firmly entrenched in the management and operation of the company, a successful one at that, all that was needed was to certify the Aryan status of the firm, free of “Jewish influence” and the liquidation/realization of any remaining shares in the hands of Mr. Daltroff. The answers to some of the above questions can be found in the records of the Commissariat général aux questions juives. They are open and accessible to everyone either in Washington, DC, at the US Holocaust Memorial Museum or at the Shoah Memorial in Paris. One would also need to locate records which clarify the fate of Mr. Daltroff’s property as well as the legal status of Maison Caron from the time during the Vichy years. Perhaps, a search of trade registries in pre-1940 Paris might clarify the ownership question surrounding Maison Caron. There would be some records in the United States because of the presence of a subsidiary operating in New York. The US Department of the Treasury, its Foreign Funds Control division would have examined its operation as the American affiliate of an “enemy interest”. Yes, I am assuming that Ernest Daltroff was the owner of the Boggs watercolor and that it remained in Paris for the ERR to seize as Jewish cultural property. But, as you know, anything is possible.